The USGBC is an organization founded upon the mission to transform the way building and communities are designed, built, and operated. 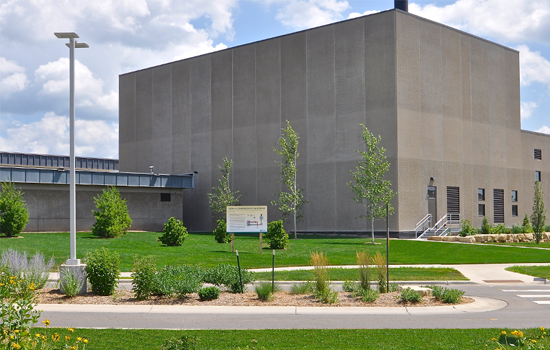 They provide a wide range of education and networking events for the green building community as well as the advocacy of sustainable development and responsible decision making within the State of Wisconsin. Leadership in Energy & Environmental Design (LEED) is the most recognized and widely used green building program in the world. More than 54,000 projects are currently participating in LEED, comprising more than 10.1 billion square feet of construction space. The program works by earning points to satisfy prerequisites in order to achieve different levels of certification. 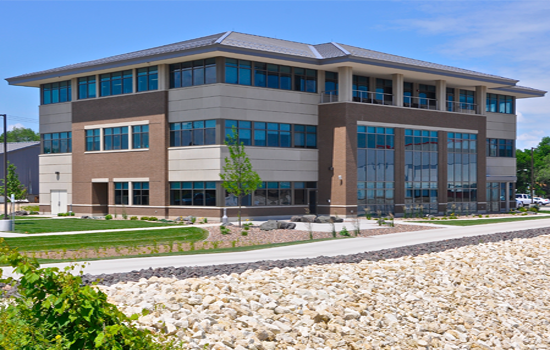 Fowler & Hammer, Inc. offers guidance and advice on the latest green building techniques custom tailored to the needs of your project. Our experience in balancing costs with potential benefits will allow you to make an informed and educated decision when selecting green building techniques/features. 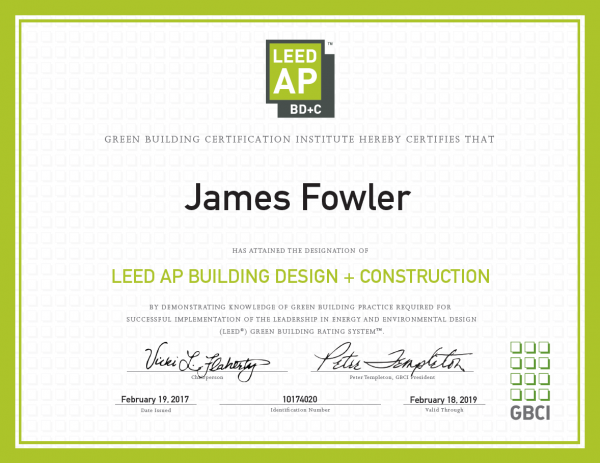 From simple efficiency tips to obtaining LEED certification, Fowler & Hammer, Inc. will clearly outline all of the steps needed to achieve your green building goals. “At Fowler & Hammer, Inc., we recognize how important the desire to build in an environmentally responsible way is to our community and its business owners. HVAC systems account for nearly 40% of the energy used by commercial buildings in the United States. Although HVAC design can be complex, the potential for cost savings make planning and optimization a solid investment. Energy conservation, indoor air quality, and occupant comfort are among the core green building issues encompassed by heating, air conditioning, and ventilation design (HVAC). It’s important to think of HVAC as a complete system functioning congruently, rather than autonomous pieces of equipment. (up to 50%) is possible when properly integrated into a building plan. This reduction creates an initial cost savings along with reduced long term operational costs. When designing a building space, the planning and consideration of light sources and light utilization can have a tremendous impact on energy consumption and overall building aesthetics. Building spaces that utilize natural daylight and allow employees to maintain a visual connection with the outdoor environment have been shown to increase occupant comfort and productivity. Balancing these benefits with several challenges such as heat gain/loss, glare control, and the variations in daylight availability will ensure you achieve a healthy, productive environment for all occupants. In areas where daylighting is not possible or must be augmented, ultra high efficiency bulbs are up to 1000 times more efficient than a comparable incandescent bulb. Considering the number of fixtures in a typical building, the energy reduction possibilities are staggering. The use of dimmers, timers, and other energy monitoring devices will ensure that owners can maximize benefits from investing in energy efficient bulbs. By utilizing local suppliers for building materials, output of pollutants responsible for climate change and air quality problems can be kept to a minimum. Even small reductions starting on a project-by-project basis can have a massive impact on the overall emission output associated with transporting construction materials. Additionally, supporting a regional economy through the purchasing of locally sourced materials creates a positive community impact each time a new construction project is started. Careful consideration of a construction project’s potential impact on wetlands, water bodies, or other wildlife habitat is a crucial step in the process of avoiding unintended environmental damages. Environmental repairs and restoration associated with construction can be costly to fix and take many years to restore to their original state. Through selective development and thoughtful planning, communities will benefit from an optimized infrastructure that works to protect its land resources. Water conservation often tops the list of concerns when it comes to green building practices in the United States. Demands on our nation’s fresh water supply grow significantly every year. The logistics surrounding the transportation and treatment of water account for a large portion of the entire nation’s electricity needs. Fortunately, there are several building practices and technology advancements that can be integrated into your next project to drastically reduce water consumption. One of the most common reduction techniques is to implement low-flow toilets, shower heads, and faucets. Ultra-high efficiency fixtures can account for a 50% or more efficiency improvement over standard fixtures. Another major water reduction opportunity lies in responsible landscaping. Using native plants, harvesting rainwater for irrigation, and choosing a design that’s both efficient to grow and aesthetically pleasing will all lead to a decrease in overall water consumption. Simple planning, commitment to responsible usage, and the utilization of new green construction technologies will all make a tremendous contribution to the creation of a successful green building project. Whenever possible, a strong effort should be made to use green, low environmental impact construction materials. Examples of green building materials include products that are recycled, conserve natural resources, avoid toxic emissions, or save energy and water. Building owners often have concerns over the balance between green material usage and cost control goals. Label interpretations and material selections can be complex; however, having a wide variety of green materials to choose from allows an owner to customize their green commitment to an individual budget. It’s important to remember that even small green material commitments make large impacts when multiplied on a national scale. 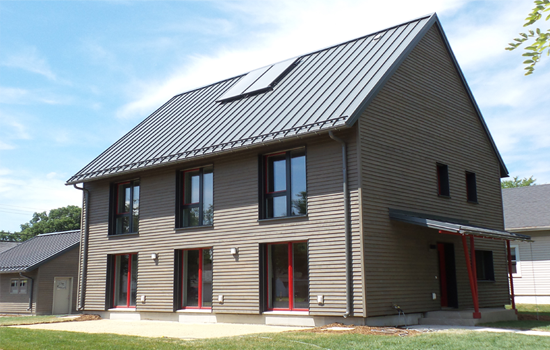 Whether your goal is to achieve certification, or simply to build in a sustainable manner, there’s a green material alternative to make your next building project a success.